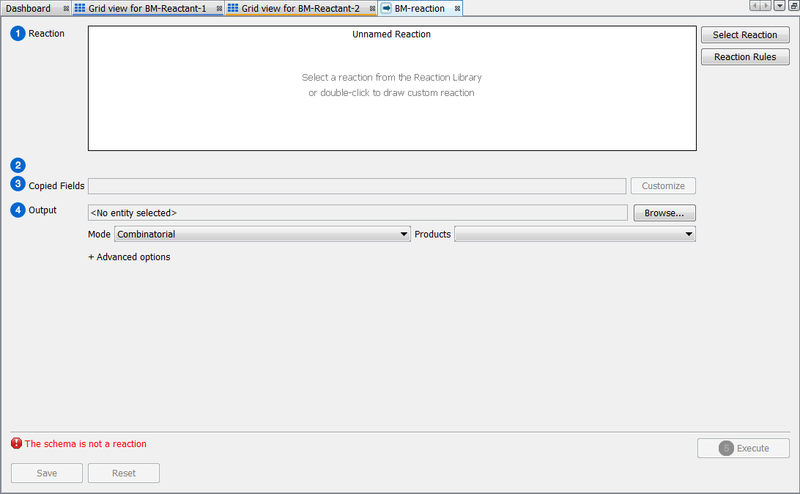 This tutorial will introduce you to the process of reaction enumeration in Instant JChem starting from a set of suitable reactants. 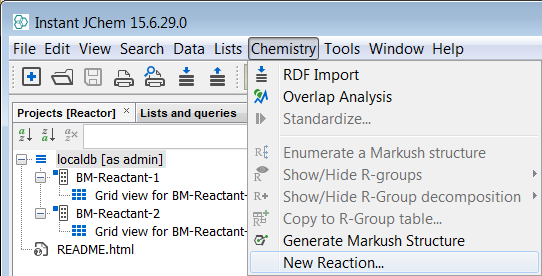 It will guide you through the process of setting up a reaction, customizing the enumeration process and the output. 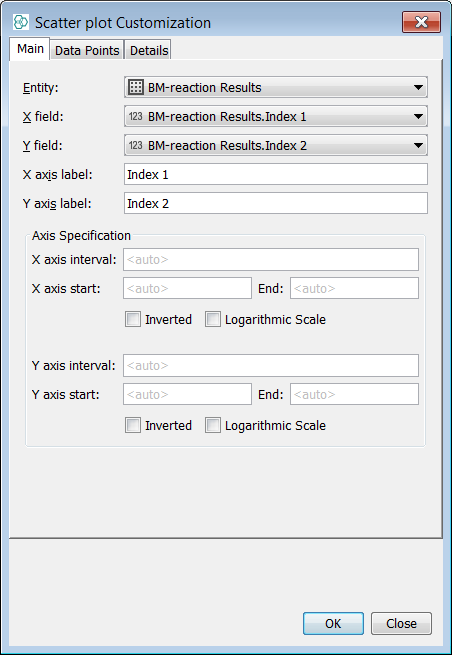 It will also give a step by step guidance to the post processing of the results, including property calculations and visualization of the data. First create a new project container. Use File -> New Project... menu entry or appropriate icon in the toolbar (shortcut - Ctrl+Shift+N). 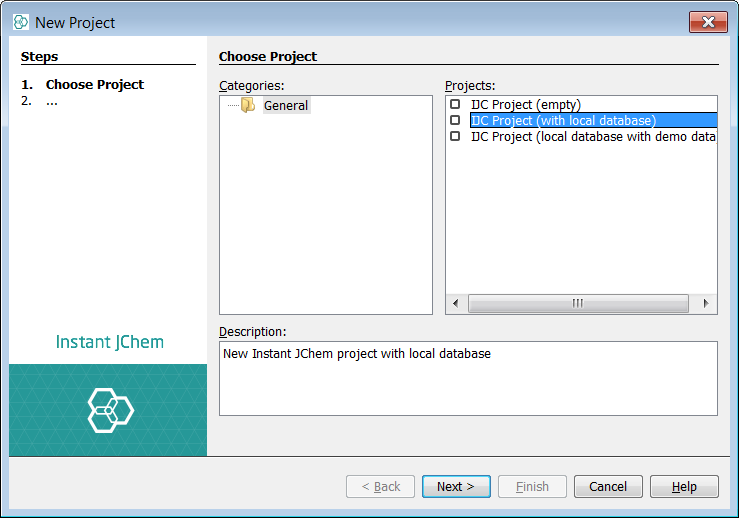 Create a new project and choose IJC Project (with local database). 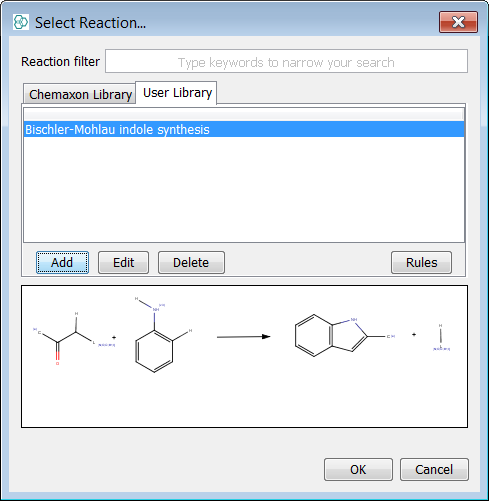 Give your new reaction configuration a name in the dialogue (e.g. 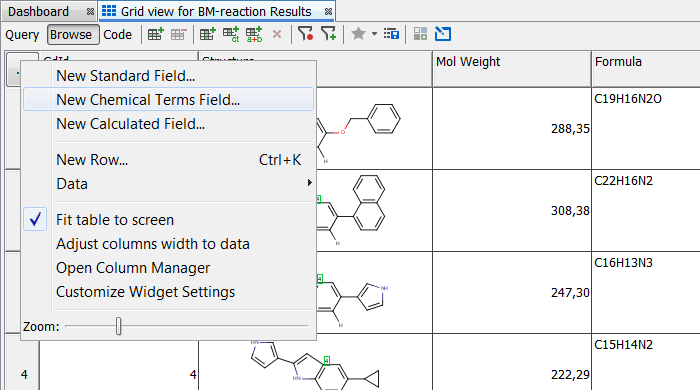 "BM-reaction") and click Create. 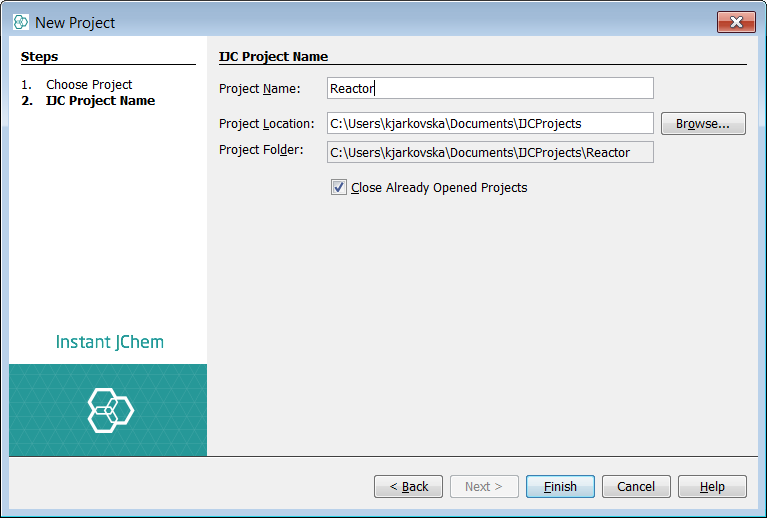 Instant JChem now creates the reaction configuration xml file within the project directory and opens it in a dialog. 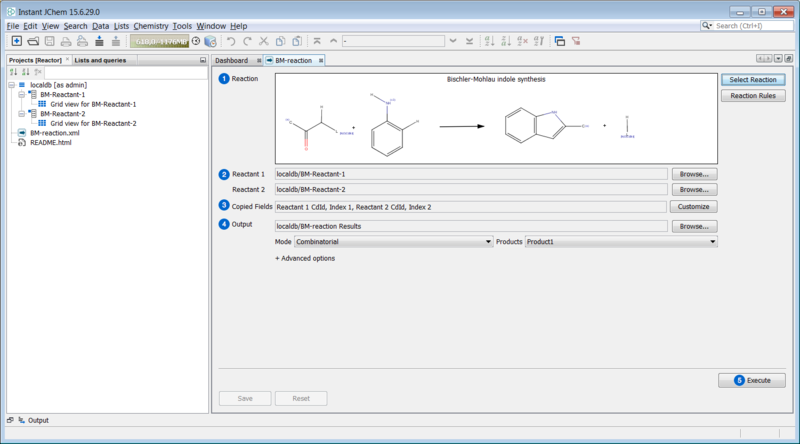 After the enumeration process has finished, the default grid view containing the product molecules and the corresponding fields is shown. 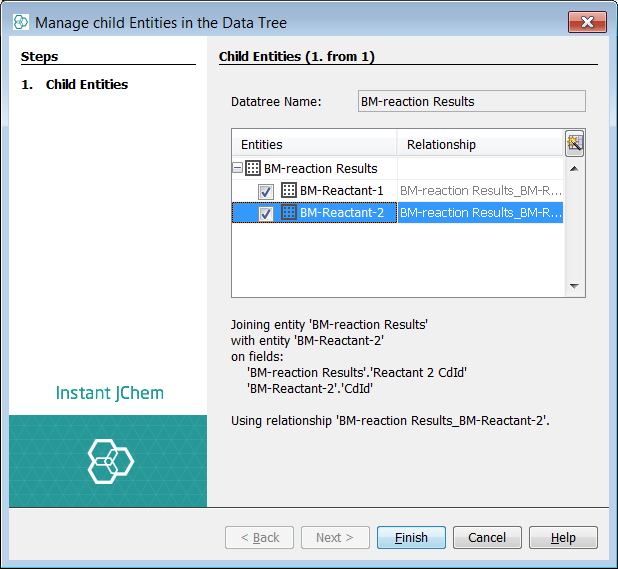 A detailed user guide of the Reactor integration in Instant JChem can be found here. In this section you will learn how to visualize the results of the reaction enumeration along with the input reactants. 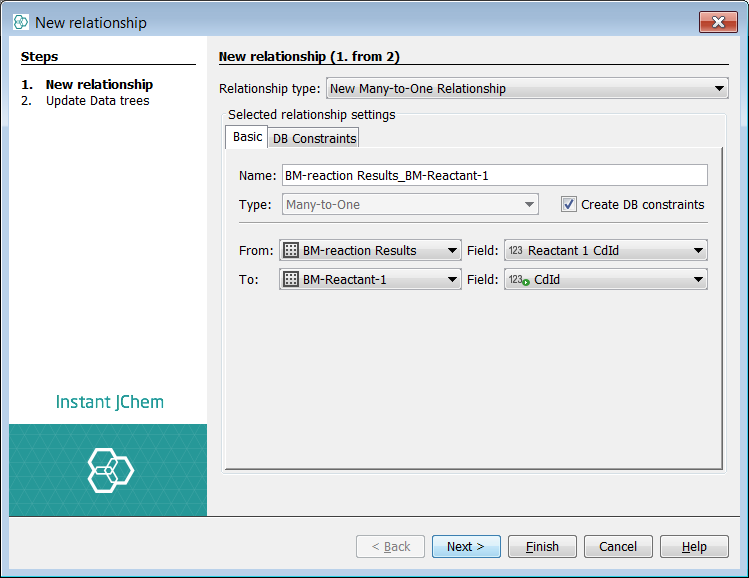 It will be shown, how to set up a relationship between the products table and the reactant tables. 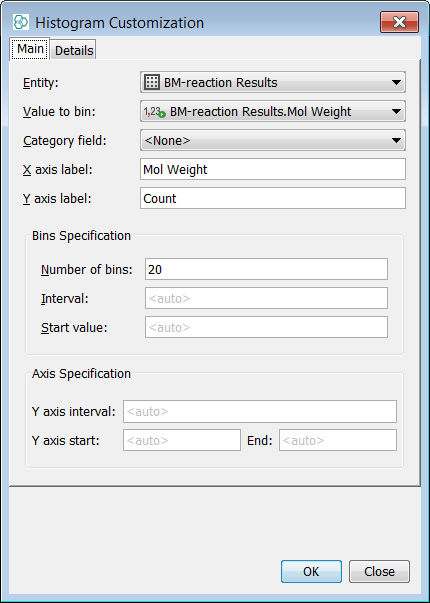 The tutorial will also guide you through the steps of creating an appropriate form view to visualize your results. 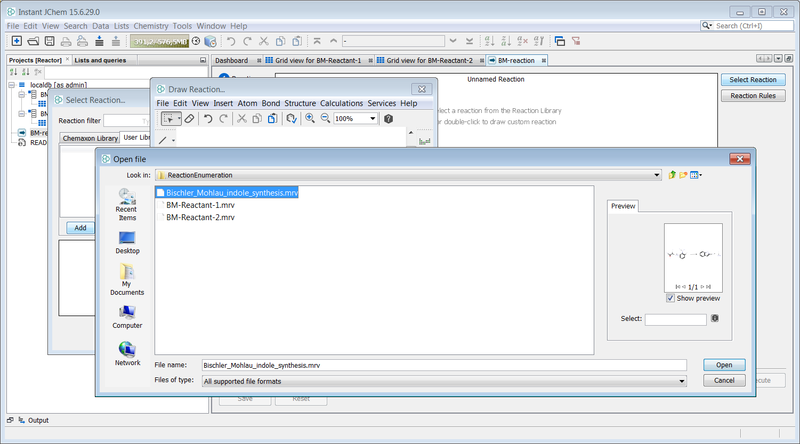 Open the Schema Editor: right-click on the schema header and select Edit Schema from the drop-down menu. 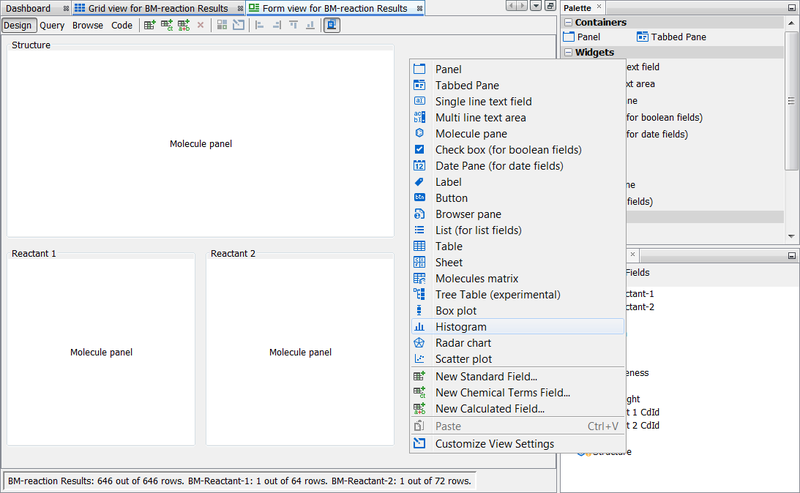 The "From" table must be the output table, containing the results; for this table the Field must be set to "Reactant 1 CdId"
The "To" table must be the one containing molecules for reactant 1; for this table the Field must be set to "CdId"
In the drop-down menu select the Relationship for which you would like to create the new edge. Create edges for both new relations. You can skip this part if you had included the entities in the data tree during the creation of the relationship, by clicking Next and selecting the entity checkbox in the Update Data Tree dialog. 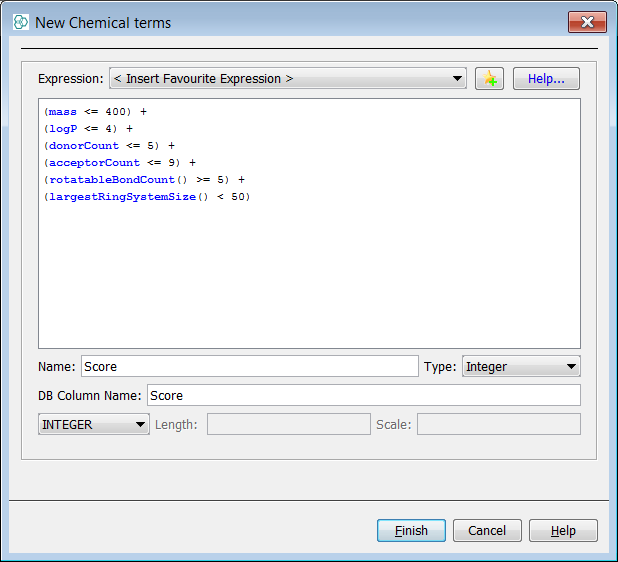 This section describes how to calculate certain properties of the products and how to visualize them. 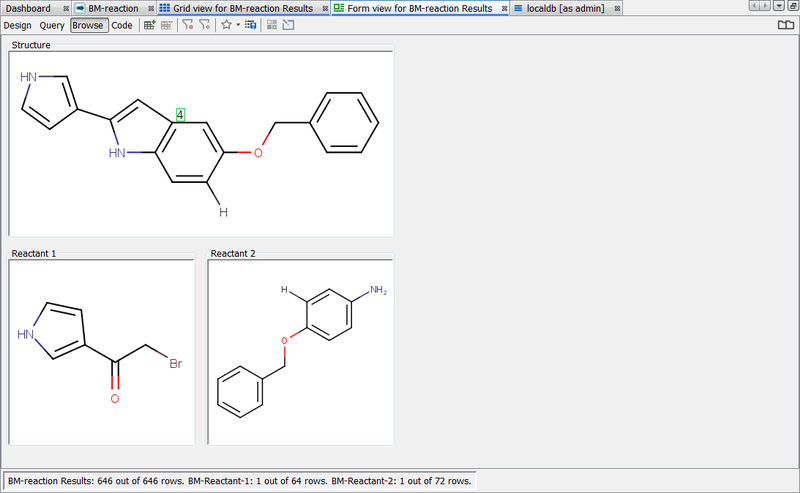 The description includes the prediction of single physico-chemical properties. 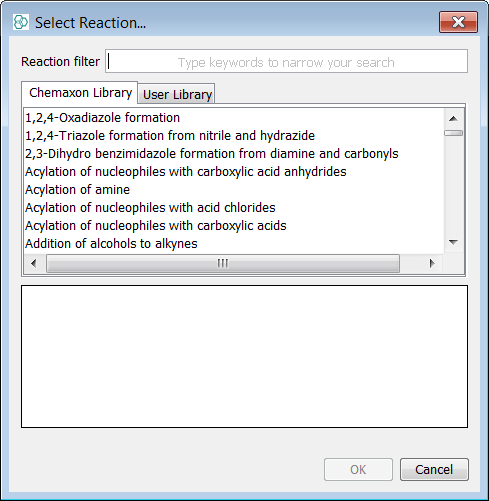 Add a new Chemical Terms Field and select Lead likeness from the favourites. 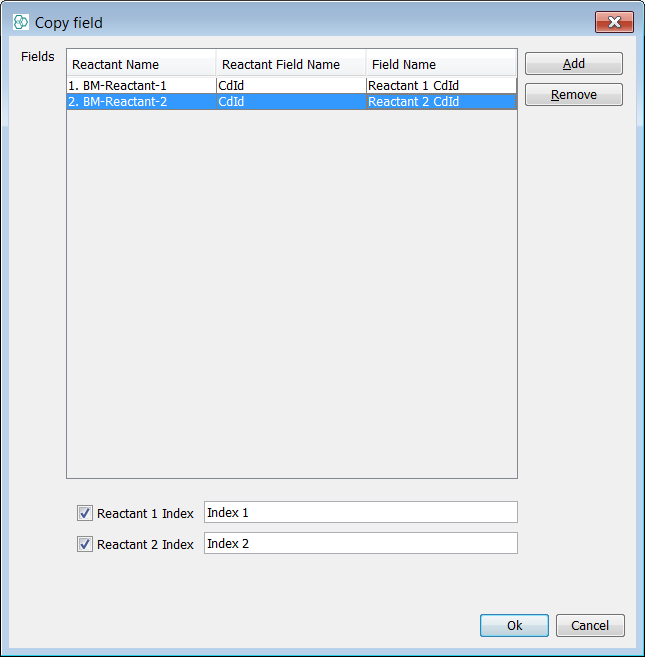 Using the copied and the calculated property fields this section will show how this data can be viewed in Instant JChem using the Chart Widgets. 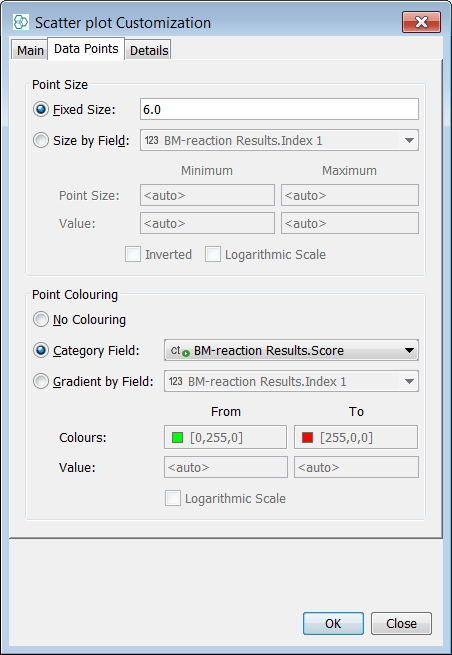 Click OK; resize and reposition the chart widget. Switch back to Browse mode to see the result. To create a synthesis matrix-like plot (i.e. 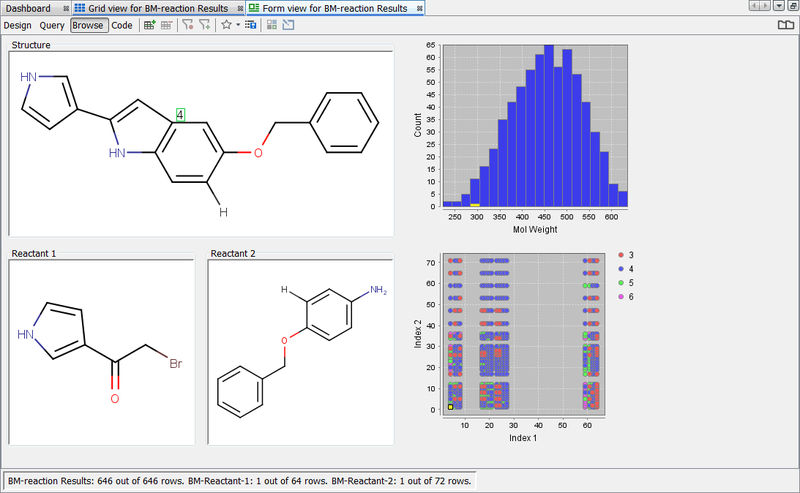 a scatter plot showing which Reactant 1 molecules react with which Reactant 2 molecules) follow the steps below. 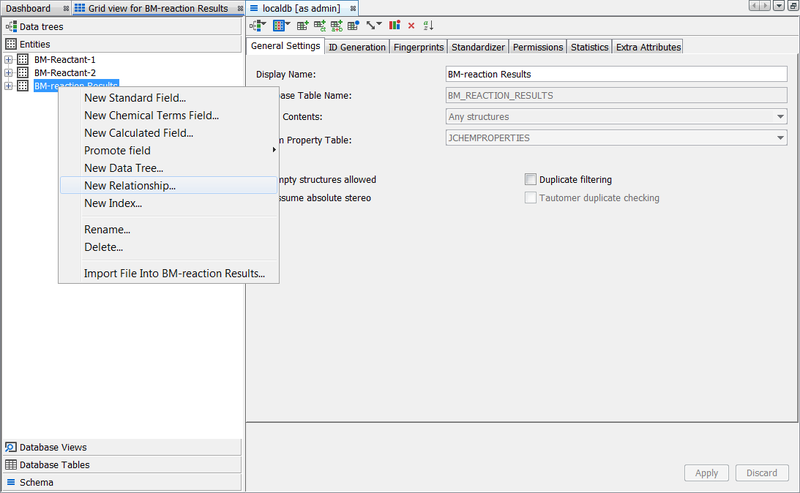 How to set up and run a virtual reaction in Instant JChem using Reactor. How to create a relational database using existing tables. 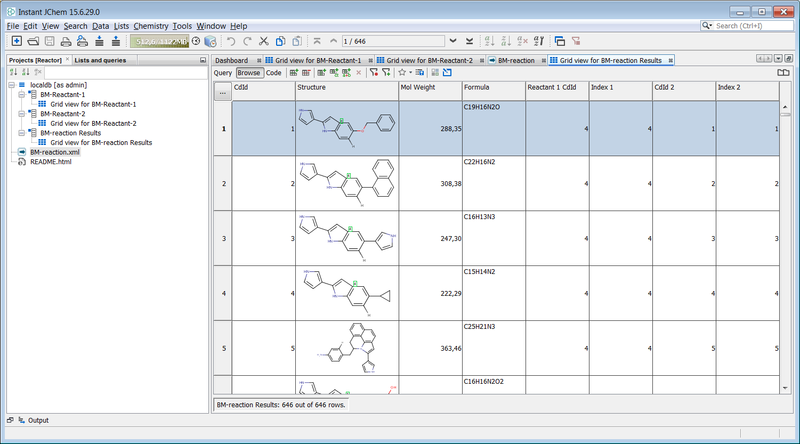 How to calculate simple and complex properties of the compounds in your library. How to create form views to visualize your results, including structures and charts.